Hundreds of thousands of people took to the streets of Algiers on Friday to demand the resignation of President Abdelaziz Bouteflika, in the biggest demonstration since unrest erupted six weeks ago. State television showed protests in other cities as well. In at least one location, a Reuters reporter saw police opening fire with tear gas and rubber bullets, and chasing and beating demonstrators after youths hurled stones at them. Some witnesses estimated the number of people on the streets on Friday at around one million, but authorities said the number was lower. Earlier this week, the military and leaders of the coalition government called for the removal of the ailing president to end the political crisis. 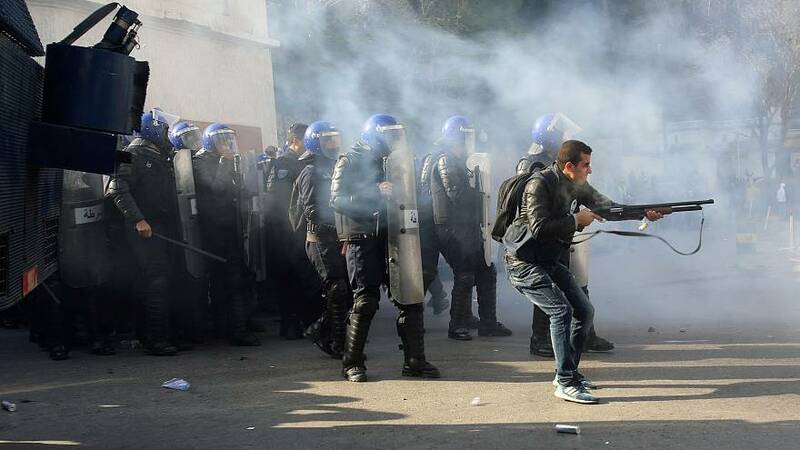 However, protesters don't just want Bouteflika's removal but an entire wipeout of the regime. "We have only one word to say today, all the gang must go immediately, game over," said Ali, a merchant, as other protesters shouted, "the people want the fall of the regime". The army chief of staff, Lieutenant General Ahmed Gaed Salah, asked the constitutional council on Tuesday to rule whether the 82-year-old was fit for office in a move that further isolates Bouteflika. Under the constitution, the chairman of parliament's upper house, Abdelkader Bensalah, would serve as caretaker president for at least 45 days after Bouteflika's departure. But even if Bouteflika quits, there is no clear long-term successor. Protesters say they do not only want a replacement to Bouteflika but the entire regime with a new generation of leaders capable of modernising the oil-dependent state. Bouteflika established himself in the early 2000s by ending a civil war that had claimed 200,000 lives. But he has rarely been seen in public since suffering a stroke in 2013, and now faces the biggest crisis of his 20 years in power. Algeria: Who is Abdelaziz Bensalah, the new interim leader?